From a virtual to the real model – learn 3D printing! SLA printing (Stereolithography) is a revolutionary technology which offers you the ability to print high quality models in a large variety of materials. In addition, SLA offers many advantages over FDM printing such as the ability to print waterproof objects, high-quality surface finish, and consistent part characteristics. 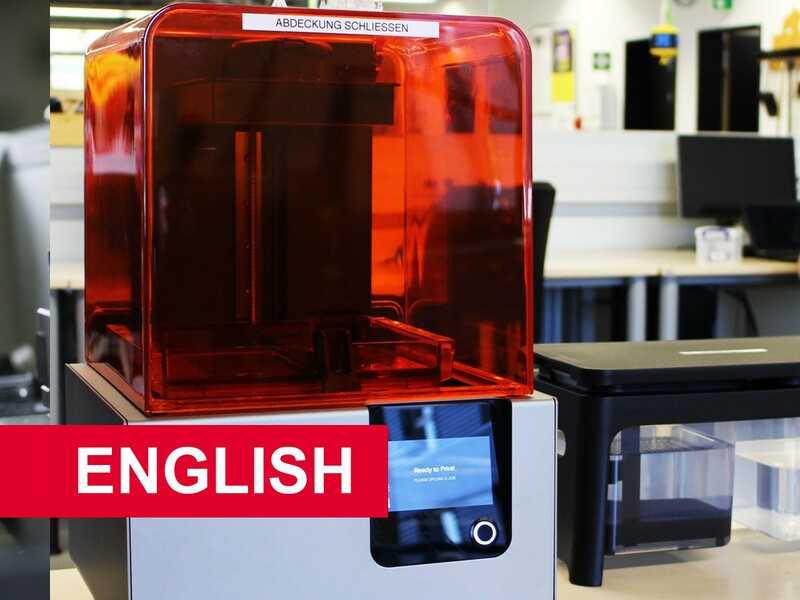 In this safety and basic functions course you will learn how to import 3D files into Preform, modify and then print them using the Formlabs Form 2. You will learn all the necessary information to enable you to operate the machine at MakerSpace. This course is a prerequisite for using the 3D printer in MakerSpace! For teenagers between 16 and 18 years of age, a parent or guardians' written consent is required.